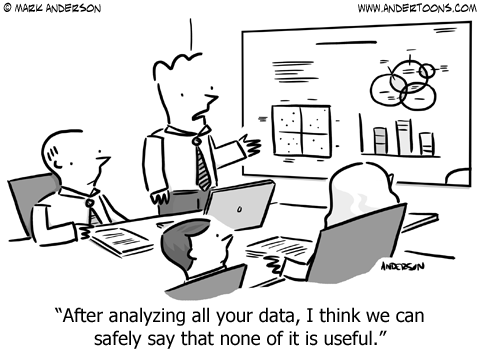 Data capture has always been a labor-intensive, error-prone process. Price checkers match wrong items, capture the wrong price points (e.g. promotional vs. everyday retail) and encounter a variety of other issues. With quality assurance happening on the back end of the price-checking process, incorrect matches have the potential to pass through the system downstream to the retailer. Different assortment sizes and formulations pose challenges to price checkers who work from static comparison lists. With Amazon’s rapidly expanding penetration of the food retail market, center-store items are becoming more and more commoditized with price having a greater impact on consumer decisions. At the same time, specialty formats like Trader Joe’s and deep discounters such as Aldi and Lidl continue to execute on delivering cost-effective differentiated private label programs. The fresh side of the store is becoming the battleground where stores need to differentiate themselves. In order to do so, accurate competitive pricing programs that take into account size, quantity, formulations, and other attributes are needed. As traditional retailers move further into e-commerce and online advertising, their approach to competitive pricing has, for the most part, remained a manual process, limited by the amount of labor resources to physically shop competitor markets. By using technology to automate competitive shops, they can deploy more labor to focus on unique assortments and integrate online and in-store activities. This creates a more comprehensive picture of competitor pricing strategies. Often, retail companies rely on lists of Key Value Items (KVI’s) to drive both their competitive shop programs and their pricing strategies. These lists are usually static and don’t take into account differences across competitors and their diverse locations. This approach can be extremely inefficient as auditors go to stores looking for items that may not be part of that specific store’s assortment. When this happens month after month, it quickly becomes costly. It’s easy to fall into the trap of using competitive pricing programs to fill tactical rather than strategy needs. Competitive pricing programs should be used to understand not just the competitor’s price on individual SKUs but also their total pricing strategy across their footprint. With consistent, accurate and real-time data, a retailer has the ability to look at trends within the marketplace, understand the actions of competitors, and use predictive analytics to ensure that their value proposition remains relevant to the customer. In order to gain a comprehensive view of a competitor’s pricing, competitive shop programs often focus on a large number of items and numerous stores. This is due in part to the challenges mentioned above regarding data accuracy and reliability of the manual process. To increase reliability, retailers often increase labor by checking more items in more stores or increasing the frequency of checks. This is expensive. The top 10% of products sold typically represent 50% of the total sales dollars. Therefore, full book programs that invest as much in competitive shopping slow-moving items as in fast-moving products are not cost-effective. A major internal challenge for the retailer can be its organizational design and HR support. People are fundamentally motivated based on how they are rewarded. However, merchants and pricing departments may be measured against completely different success criteria that are working against each other. For example, when Pricing strives to maintain a company’s value proposition by driving towards a CPI index, this may run counter to the gross profit targets set by merchants. Progressive merchant leaders, with the support of HR, need to bring these departments together with aligned KPIs and metrics. Driving EBITDA should be everyone’s goal. Organizational structures and compensation schemes should encourage productive and aligned behaviors. We’ll show you what to look for in a competitive pricing platform in our next blog. Stay tuned!